These instructions are for WordPress users who are unable to install Plugins on their blog. If you are able to install plugins, please see this article. Go to your Eventable dashboard and locate the event you are sharing. 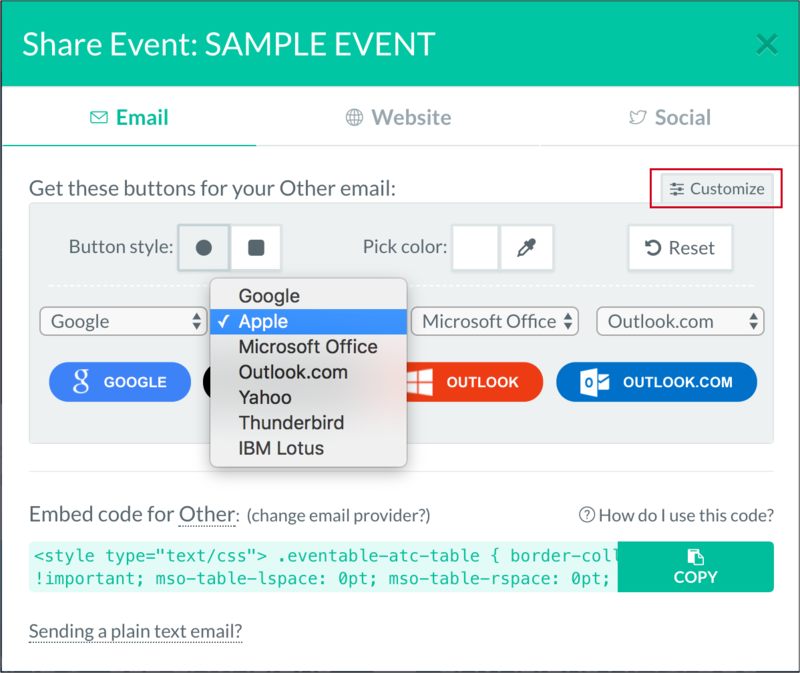 Click Share Event and choose the Email tab. 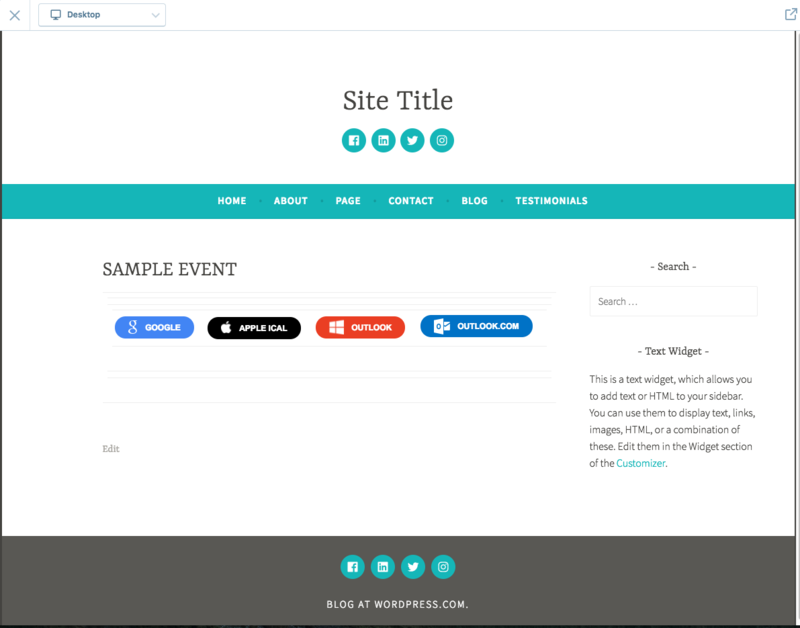 Optionally, you can customize the style and color of the buttons to match the design of your website. 3. After customizing your buttons, select Other as your HTML email provider. Copy the embed code. 4. 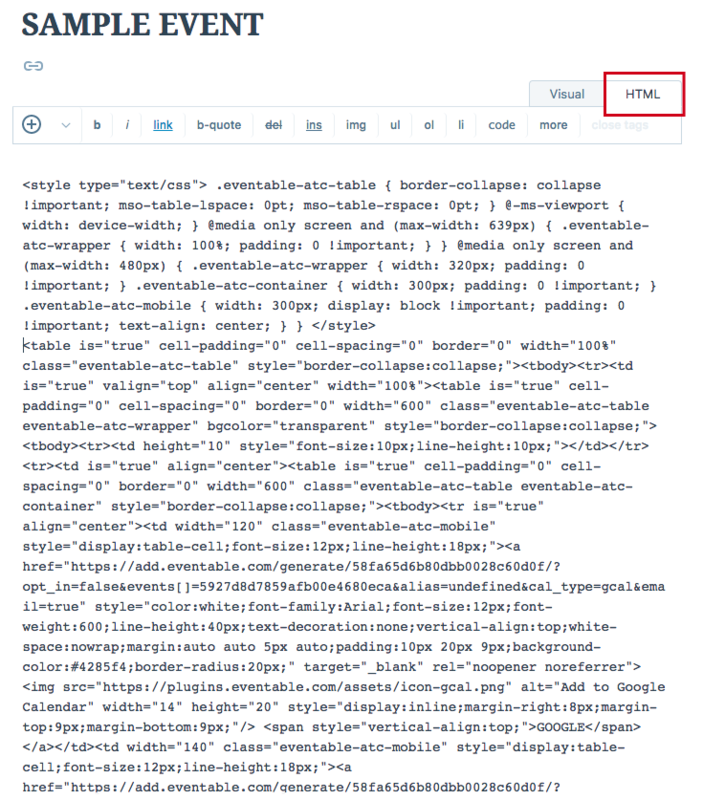 Paste the code into your Wordpress page or blog post under HTML. 5. Remove the <style> tags from the copied code. That's the first 8 lines. Preview your page in Wordpress. The email buttons should now be displayed.